When Janine Benyus coined the term biomimicry in 1997 to describe how nature can inspire innovation in the business world, she never expected her phone to start ringing off the hook. Since then, such companies as Procter & Gamble, Boeing, General Electric, Herman Miller, Nike and Levi Strauss have called, wanting to know how they can use nature as inspiration for new products. While large corporations approached her initially, Benyus, cofounder of the Missoula, Mont.-based consulting firm Biomimicry 3.8, says entrepreneurs are often the ones developing the kind of nature-inspired innovations these large companies are after. Why the business interest in nature? "Every single problem faced by humans today has been solved by nature," says Jay Harman, CEO of PAX Scientific, a San Rafael Calif.-based firm that conducts biomimicry research. "It has millions of years of trial and error with an open resource and development budget." Philip O' Connor, co-founder of PAX Pure with a water purifier that, like an environment at high altitudes, enables water to boil at reduced temperatures. Designs inspired by nature are effective because they aim to use the least amount of energy, says Philip O'Connor, co-founder of the San Rafael, Calif.-based company PAX Pure. 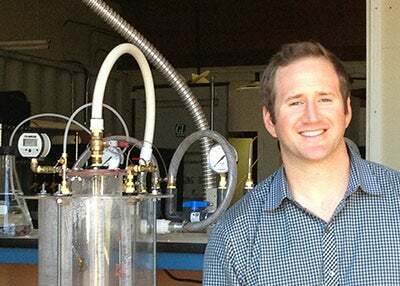 His company is developing a water purification technology that simulates high altitude environments. This allows water to boil at lower temperatures, minimizes energy use and doesn't require the expensive metal materials used in traditional approaches to purification. O'Connor was introduced to the purification method while he was an MBA student at Presidio Graduate School in San Francisco where he was given the task of developing a business model for the technology, originally invented by Harman at PAX Scientific. In May 2012, O'Connor and four partners founded PAX Pure. This year, they plan to raise $6 million in funding and are reaching out to oil and gas companies--large producers of contaminated water--to begin pilot testing the technology. "If you look at the way nature does anything, it's done with the least amount of energy possible," O'Connor says. "We are surrounded by the genius of nature and we have looked past it for so long." Sharklet's adhesive film is made up of a microscopic pattern that mimics the surface of a bacteria-repelent shark's skin. Plants and animals have evolved over the centuries to their most resilient form. That's why it makes sense for entrepreneurs to look to wildlife for inspiration in developing their products. In 2007, Mark Spiecker and his three business partners at the time, hooked up with Anthony Brennan, a biomedical engineer at the University of Florida, to see if they could help market Brennan's technology, a material that mimics the pattern on bacteria-repellent sharkskin. 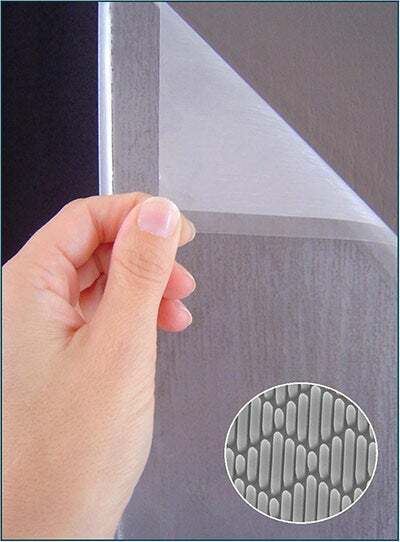 That year, they founded Sharklet Technologies in Aurora, Colo., offering an adhesive film that stays sanitary, not by killing, but rather by repelling bacteria. Brennan had developed the technology as a way to keep algae from growing on the bottom of naval ships, but when Spiecker began pitching the idea to investors, their interest in using the technology in hospitals and for medical devices was clear. Investors were drawn to the understandable and compelling analogy to sharkskin, and to date, Sharklet has raised $5.1 million in funding. While the product is currently sold online to consumers who use it to keep residential and office spaces sanitary, Spiecker is in negotiations with hospitals and medical device companies interested in buying it. Spiecker, who has no scientific training, says entrepreneurs can find inspiration in nature by reaching out to technology transfer offices at universities where there are often ideas waiting to be snapped up. Lloyd Watts, who reverse engineered the way the human ear works to develop of a chip used in cell phones, stands beside an acoustic testing robot at his company's lab. Biomimicry is a way to develop technologies that simulate what's happening in the human body, making them more precise and attentive to human needs. Lloyd Watts was studying computer programming and speech coding when he realized: "There's something biology can do that engineering can't." For example, why could a small child detect the sound of his mother's voice in a noisy room, but a software program couldn't? 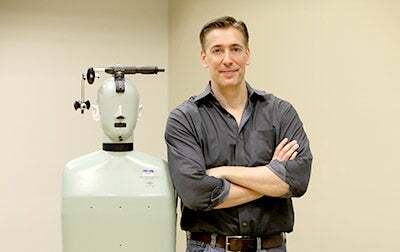 In 2000, he founded Audience in Mountain View, Calif., and developed technology that reverse engineered the way the ear works when recognizing voices. Watts was all set to try marketing the technology as a way to improve voice recognition software on computers, but potential investors told him he had his market wrong. Watts brought on Peter Santos, a marketing expert and now Audience's CEO, who said the best market for the sound-recognition chip was cell phones. "You've got a great science thing," Watts says. "But you need a great marketing person to turn this into a business." Last year, the mobile phone market produced $144 million in revenue for Audience. Corrections & Amplifications: An earlier version of this article incorrectly stated that Janine Benyus coined the term biomimicry in 1997 to describe how nature can inspire innovation. The term had been in use earlier; she was the first to use it to describe how nature can inspire sustainable design and innovation specifically in a business context.